Take a walk down memory lane during Tamworth Country Music Festival and visit Tamworth Powerstation Museum as it fires up its two mighty steam engines on Thursday 21, Friday 22 and Saturday 23 January from 10am to 4pm. The two John Fowler steam driven engines at the museum - at 216 Peel Street, Tamworth, next to Tamworth Community Centre - are the only two of their type operating in the world. Their simulation of power generation from earlier days is a reminder of how electricity changed our lives. The Morsecodians, a group of retired telegraphists, will be at the museum from Monday January 18 to Saturday January 23 showcasing their skills. They will send a telegram for museum visitors anywhere in Australia by Morse code in a matter of seconds for a gold coin donation for their club. 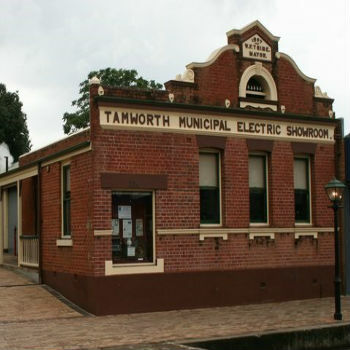 Tamworth Powerstation Museum has won numerous awards for its contribution to preserving and documenting conserving Tamworth’s proud history as the first town in the southern hemisphere to have municipally-funded electric street lighting. The displays at the museum document the entire history of electricity in Australia and its impact in shaping our modern world. The museum is also home to 20th century electrical appliances, technical instruments and a pictorial history about the early development of electricity. Visitors can see the technology of yesteryear up close along with one of the largest collections of electric light bulbs in Australia. The museum recently launched its new website which features items from its collection, a Tamworth Timeline highlighting the development and implementation of electricity in the city and more.